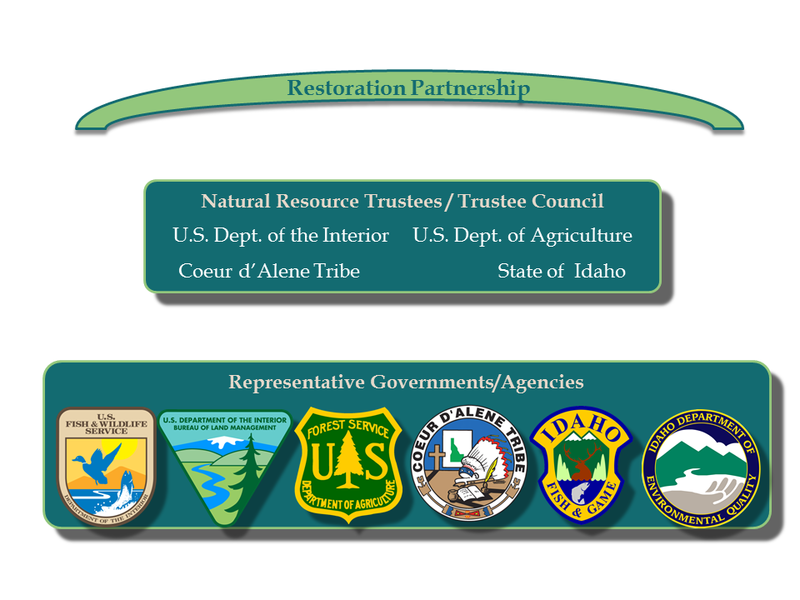 The Restoration Partnership was developed by the Coeur d’Alene Basin Natural Resource Trustees as a way to involve the public in natural resource restoration. Our primary mission is to return our natural resources to a healthy condition by developing and implementing a restoration plan for the Coeur d’Alene Basin. We engage the public by providing ways to help shape the plan, propose specific restoration projects, and partner with us on project work. The Restoration Partnership includes both the Trustee Council and the Technical Staff. The Trustee Council provides oversight and guidance while the Technical Staff provides technical expertise. There is a hierarchical relationship that exists between the Trustee Council and the Technical Staff.